Just bake some white cupcakes and frost them in white frosting. Add some blue sprinkles to the top. 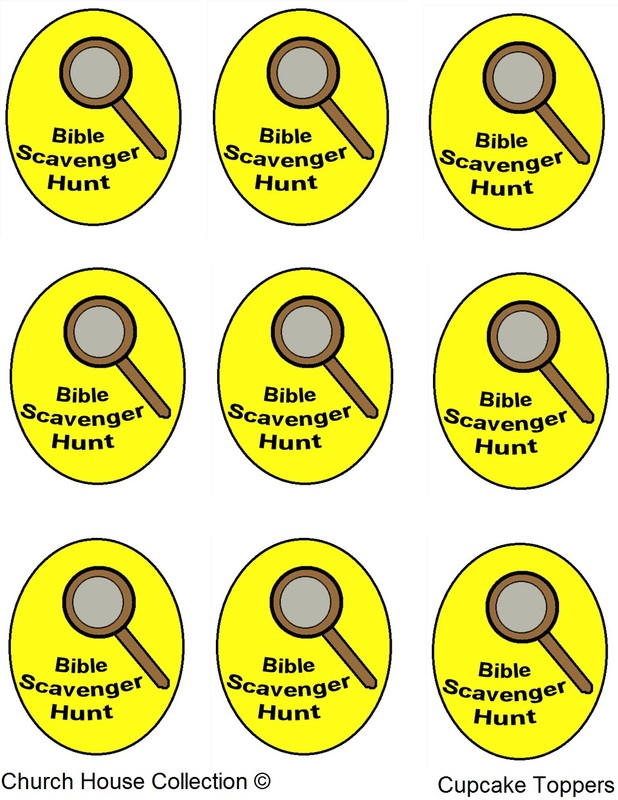 Next you should have printed off the Bible scavenger Hunt template and cut each circle out. Laminate if you want. Tape a large popsicle stick to the back of the template. Then just stick down in the cupcake. 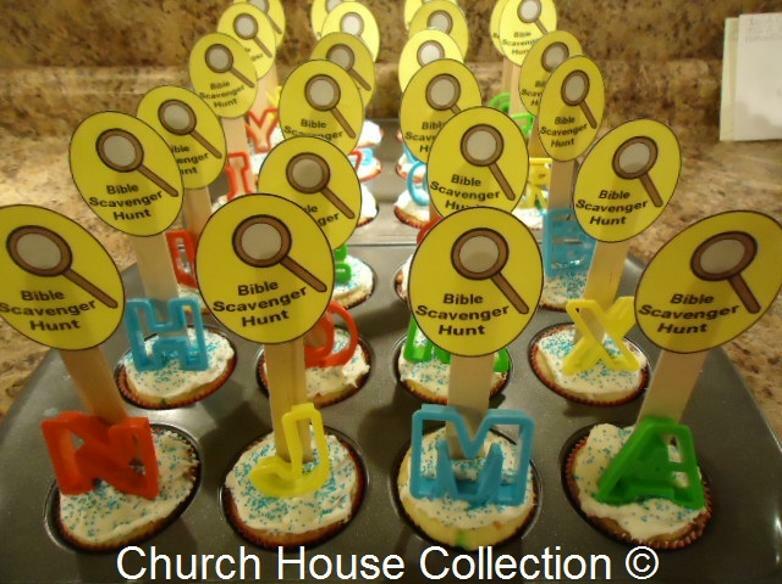 Add alphabet cookie cutter shapes to each cupcake. Make these cupcakes for a cute snack to go along with our Bible Scavenger Hunt.